Positivity can be created in the workplace during uncertain political times. Open collaboration, creativity and workforce planning are the tools charities require to keep employees, trustees and volunteers united and confident that Brexit won’t unsettle them. Earlier this year the Chartered Institute of Personnel and Development (CIPD) described the tipping point of anxiety in the workplace that Brexit is stirring as a "vacuum before the facts are known." In this chasm the beginnings of uncertainty are taking hold. Third Sector Jobs spoke to the professional body and the Charities Aid Foundation (CAF) to find out how to weather the storm and keep positivity in the workplace at the forefront of the agenda. How will charities be impacted by Brexit? Sir John Low, chief executive at the Charities Aid Foundation, says: "In the short term the biggest impact is the destabilising effect of uncertainty. How can a charity invest for the future when that future is unknown and the near daily volatility so extreme?" The reality is that the unknown is having a very real fiscal impact: "One day the pound strengthens on the back of positive comments, then a few days later drops in value following different comments, sometimes made by the same person. Imagine the effect on a charity which works overseas, whose expenditure is not in sterling?" adds Low. The ‘wait and see’ mentality is fuelling a cautiousness about borrowing to fund future growth programmes, with many charity workers waiting for uncertainty to clear before they embark on projects that are not essential to complete now, and feeling the pressure to hold back. "Their appetite for risk has fallen away in an uncertain world," says Low. When CAF asked chief executives in late 2016 how they thought the vote to leave the EU would impact their charity, 55% thought it would have a negative effect on their charity whilst 52% thought it would have a negative impact on their cause area. "When we asked again earlier in 2018, this had risen to 64% of chief executives believing Brexit will have a negative effect on their charity," adds Low. Despite this, CAF’s UK giving tracking study immediately prior to and post the EU referendum showed that donating money and volunteering both remained remarkably consistent, with the usual peaks around the end of the year following major fundraising campaigns. So, if charities can continue to attract donations then how can they ensure their workforce, volunteers and trustees remain positive too? Low says: "This is a time for charity chief executives, trustees and senior staff to be at their most creative and visionary. We have always excelled at delivering against the odds through inspired, committed employees delivering innovative solutions." The CIPD advises consulting and engaging with staff on ideas and proposals during these unsettling times. 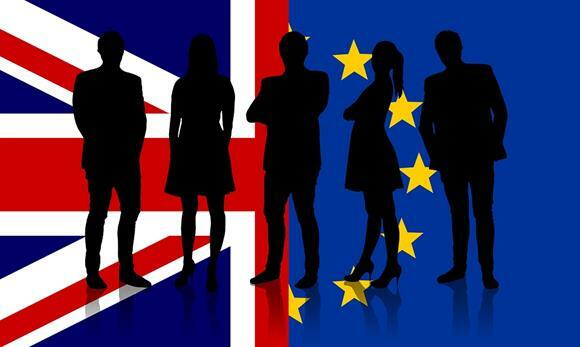 According to their guide, Preparing for Brexit through workforce planning, employers should be transparent in their communications and offer genuine opportunities for questions and input, providing the support and training necessary to line managers to enable conversations with their staff to address any concerns. Part of the reason for greater collaboration is also to gauge sentiment and assess flight risk. The CIPD advises employers to understand employee attitudes towards work issues such as job security, satisfaction and potentially intention to leave. "Polls, employee surveys and focus groups may be used. While these may not be entirely accurate, they can give a broad indication of the likely rate of turnover. A flight risk assessment could further include consideration of potential retirees, attrition rates and reasons, the potential capability of the workforce to develop new skills and who may be able to adapt to change and innovate." This data, says the CIPD, will in turn allow employers and their HR teams to make an informed response to address workforce needs, whether this lies in recruitment, training and development, better engagement or communications. It is important to note too that charity employers shouldn’t be put off collaborating with staff if they don’t have all the answers. The CIPD says in its Immigration and Brexit: Legal guide to managing a migrant workforce: "Simple and useful information can reassure employees, even if it does not provide absolute certainty. Examples of ways employers are providing their employees with information include: Online frequently-asked questions documents; town hall meetings that provide employees with an explanation of the law and an opportunity to ask any questions; and one-to-one consultations and help with filing applications to remove the risk of a mistake or delay, reduce stress for employees and add an extra offering to a business’s benefits package." According to Low, "the number of EU workers in the charity sector has declined. Government has pledged to maintain funding for EU programmes, which is significant for a number of charities." It follows that charities that rely on workers from the European Union need to put thought into workforce planning and make this a priority to ensure they have the resources to negotiate the coming changes. The CIPD guidance says: "It’s imperative that employers get on the front foot and minimise uncertainty within the workplace by ensuring they’ve adequately resourced and planned for potential change." A PESTLE analysis is a means of understanding the external factors impacting charities. This looks at six key factors - political, economic, sociological, technological, legal and environmental. Using frameworks such as this can help the third sector to understand exactly what the risks of Brexit to their workforce entail. Charities can be very disparate in nature, ranging from huge organisations like Cancer Research down to very small entities with a handful of staff. Low recommends this is a time to unify whatever the size or scale of the charity: "In many sectors our employees see unprecedented collaboration, where organisations have come together to speak forcefully with one voice to achieve the best possible outcome, such as businesses through the Confederation of British Industry, universities, the car industry and financial services." Low adds: "Whatever Brexit deal is struck or the future path for Britain's economic prosperity, surely the best we can do, not just for employees, but also beneficiaries and all our supporters, is to find a way for the charity sector to speak with one voice and become as actively involved as practical. We don’t need to be passive or partisan. What we need is to be powerful and confident in shaping our own future." Being openly collaborative with employees even if all the answers aren’t clear is a great way to keep positivity alive during uncertain times. Workforce planning to assess the threats of external changes and to allow for changes in resources can give security to a business and its employees. Most important is that charities are honest with their workers because a continuous dialogue may not provide all the answers, but it does build long term relationships and the bedrock of the employee, employer relationship: trust. Looking to build your employer or recruiter brand? Find out about partnering with Third Sector Jobs’ Wonderful Workplaces initiative. Contact Ben Hardy on 020 8267 5147 / ben.hardy@haymarket.com.